Conditional Discharge – New Jersey: Is it for you? Pennsylvania, similar to every other state, maintains a driving under the influence statue (DUI-75Pa. C. S. A. section 3802). In Pennsylvania a person may not drive, operate, or be in actual physical control of the movement of a vehicle after consuming a sufficient amount of alcohol or controlled substance to render the individual incapable of safely driving, operating, or being in actual physical control of the movement of the vehicle. The criminal consequences associated with DUI are dependent on the level of intoxication, prior offenses, and whether accident resulted from the incident. The prosecution can establish intoxication through the observation of the arresting officer or through chemical analysis of bodily fluids. The successful defense of a DUI charge requires that the attorney review the basis for the initial traffic stop, the administration of possible field sobriety tests, and the chemical analysis of the defendant’s blood or urine. In addition to these issues, it is also important to question if the prosecution can meet the elements of the offense. While many attorneys may over look the actual physical control element of a DUI there is a long history of cases which continue to debate this issue. In many cases an individual is stopped under the suspicion of DUI when the car is parked on the side of the road, in a parking lot, or in some way not actually moving. It is important to understand that the prosecution need not establish that the car was moving at the time of the offense but only that the driver was in actual physical control of the movement of the vehicle. In Pennsylvania our Supreme Court has found that actual physical control is based on the totality of the circumstances including the location of the vehicle, whether the engine was running, and whether there was other evidence indicating that the defendant had driven the vehicle at some point prior to the arrival of police. See Commonwealth v. Wolen, 546 Pa. 448 (1996). Examples of these findings include cases where police found vehicles protruding into traffic lanes, drivers sleeping in their cars on the side of the road with the engines on, and drivers asleep in a parking lot with the engine running. While our Supreme Court has issued several rulings on the meaning of actual control, it is important to keep in mind that actual physical control is still an issue of fact which the defense attorney can argue to a judge or jury depending upon the circumstances surrounding the case. A DUI conviction subjects an individual to substantial fines, possible incarceration, and loss of his or her driver’s license. If you are charged with a DUI it is important that your attorney consider all possible pre-trial motions and whether the prosecution can meet necessary elements of the offense. An aggressive defense is critical to success when faced with a DUI. Blood evidence is far superior to a breath sample for DUI prosecutions. As stated in previous articles, breath testing is based on various assumptions and constants. Breath samples are converted into BAC results to determine a person’s level of impairment. More and more law enforcement agencies are not, however, using breath tests because of the questions surrounding the reliability of those scientific assumptions. While a blood test provides stronger scientific evidence of impairment it is much less convenient then a breath test. Blood tests obviously require a medically trained individual unlike breath tests which simply require a police officer to use a device in an appropriate manner. While someone should have some type of qualification to administer blood tests the law does not require this individual to be a doctor, nurse, or any type of licensed person. There is no general rule for qualifications and the law only requires that the person taking this sample be acting in accordance with his or her job description. Further, the law in Pennsylvania does not even require that blood be taken at an approved medical facility such as a hospital or clinic but it only requires that an approved clinical laboratory perform the chemical analysis of the sample taken. While some may argue that a blood test is a medical procedure you should understand that Pennsylvania does not require either a doctor or a nurse to order its administration. The law only requires that a police officer make the request and the police officer doesn’t even need to be present while the sample is taken. After the sample is taken a laboratory and a trained scientist approved by the Pennsylvania Department of Health must perform the analysis. Pennsylvania publishes a list of approved laboratories each year and also the minimum list of qualifications for scientist working in the facility. Approved laboratory equipment, approved procedures, and qualified scientists are the minimal threshold for the admissibility for the blood test. The fact that the prosecution can meet this minimal requirement does not prohibit the defense from challenging the reliability of the tests results. Who can’t get a gun in Pennsylvania and what about the 2nd Amendment? While Second Amendment to the United States Constitution gives us the “right to bear arms” Pennsylvania, New Jersey and every other state can put restrictions on that right. Unlike other amendment, the 2nd Amendment isn’t totally binding on individual states through the 14th Amendment’s Due Process Clause. 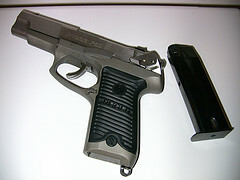 In addition to these offenses a person who has been convicted under the Controlled Substance Drug, Device, and a Cosmetic Act (aka – Possession with the Intent to Deliver – PWID) with the equivalent federal statute or a statute of a different state is also prohibited from carrying a firearm if the maximum punishment exceeds two years. A person is also prohibited under section 6105 if they have been adjudicated incompetent or involuntarily committed. While Pennsylvania can prohibit convicted felons along with other potentially violent people from possessing a firearm it can also prohibit drunk drivers with three or more DUI convictions. In Pennsylvania, if you are convicted of DUI on three or more separate occasions within a five (5) year period the Commonwealth can deny you a weapons permit. In addition to denying you a permit if you were to carry a firearm with three (3) or more convictions for a DUI you can be found guilty of section 6105, 6106, and 6108 of the Uniform Firearms Act. Pennsylvania can pose these restrictions despite the 2nd Amendment and the Due Process Clause of the Fourteenth Amendment. These restrictions are permissible under Pennsylvania law and don’t violate United States Constitution. The United States Supreme Court in the case of McDonald v. Chicago ruled that the 2nd Amendment applies to state and local governments. The court, however, didn’t explicitly state that the “privileges or immunities” Clause of the Fourteenth Amendment applies to the state. The Privileges or Immunities Clause states that “no state should make or enforce any law which shall abridge the privileges or immunities of citizens of the United States”. Since the Supreme Court did not explicitly say that this clause applies to individual states, Pennsylvania along with other jurisdictions, like New Jersey, may make laws restricting the possession and/or use of firearms. This Supreme Court decision, however, does allow the person to keep a firearm in their home without any restrictions. In the McDonald case, the City of Chicago attempted to impose a city wide band on handguns which the Supreme Court found unconstitutional. While the State of Illinois and can pass laws or ordinances restricting the use of handguns it cannot eliminate them. The McDonald case dealt with a 76 year old man who wanted to keep firearms in his home. The City of Chicago however, since 1982, had prohibited handgun ownership without registrations. Chicago had not approved a gun registration since 1982 and therefore to own a gun, even in your home, was illegal. If you have questions about your constitutional rights or criminal defense, call our office at (215) 240-7377. You may also want to read my book, Commonwealth v. You; it’s over 100 pages to commonly asked questions about criminal defense and its FREE. A crime that is often misunderstood is conspiracy. Conspiracy is what the law refers to as an inchoate offense. An inchoate offense is one that pertains to the steps taken toward the commission of a crime with the step itself, conspiracy for instance, being serious enough to constitute a crime itself. There are three types of inchoate offenses: conspiracy, solicitation, and attempt. A person is guilty of conspiracy when he acts with another person with the intent to commit a crime. To be guilty of conspiracy the prosecution must prove that the person agreed with another to engage in conduct which constituted a crime or attempted to engage in conduct. Conspiracy is also committed if a person agrees to aid another in committing or planning to commit a crime. To prove conspiracy the prosecution must establish (1), an agreement to commit a crime or the providing of aid to commit a crime, (2), a shared criminal intent and (3), an overt act (open and observable) done in furtherance of the conspiracy. If you are charged with conspiracy your attorney should focus on the following issues: the Agreement; the number of co-conspirators; the overt act; the duration; the sufficiency of evidence; renunciation; and the merger of offenses. With regards to the issue of Agreement the prosecution must prove beyond a reasonable doubt that there was an Agreement among the co-conspirators. To prove Agreement the Commonwealth does not need to show an explicit or formal understanding among the co-conspirators. The Commonwealth must, however, show more than a mere association. A Court (judge or jury) can find conspiracy inferentially through the defendant’s relation, conduct, or circumstances of the parties. It’s very important to keep in mind that mere association or presence at the scene of the crime is insufficient to establish conspiracy. This is a key concept. With regards to co-conspirators it is important to understand that one defendant can be convicted of conspiracy even if his alleged co-conspirator is acquitted later at a separate trial. It is not necessary that two defendants be tried together in order to convict a person of conspiracy. Even if the defendants are tried at the same trial it is still possible to find one guilty, the other not guilty, and still convict the guilty person of conspiracy. With regards to an overt act you must understand that it doesn’t need to be crime itself but only an action that furthers completion of a crime or the attempt to complete a crime. Again, it is important that your attorney focus on the circumstances surrounding the actions of the individual accused of the conspiracy. Quite often the prosecution will erroneously ask the court to find conspiracy based on the mere presence of the person at the scene of the crime without any more evidence. You can’t be found guilty by mere association! If you are accused as a conspirator you are subject to the same penalty as the principal actor (robbery, burglary, etc.). Much like other states, Pennsylvania does allow a person to be charged with conspiracy along with the principal act and the two charges do not merge for the purposes of sentencing. Merger is a legal concept that basically means that a person cannot be sentenced to an additional penalty (jail time or probation) for a crime that would be considered a lesser included offense of a more serious crime. For instance, robbery merges with theft because both are considered unlawful taking provided that the two crimes derived from the same incident. Because there is no merger you are subject to a double penalty. While judges can run sentences concurrently (at the same time) there is no prohibition against them running sentences for the two crimes consecutively (one after another). A conspiracy charge is serious and it’s important that your attorney properly prepare a defense if you are charged with it. Does a Philadelphia address create “reasonable suspicion” for a drug search? I’ve written previous articles on warrantless searches of motor vehicles in Pennsylvania, along with motions to suppress evidence specifically for guns, drug, and firearm charges. My new book focuses on these crimes in the Commonwealth and provides some great strategies. 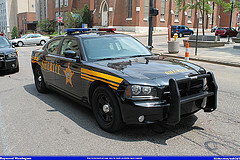 Reasonable Suspicion and Probable cause are the evidentiary standards a criminal court will use to determine if a police officer or state trooper has violated a person’s constitutional rights against illegal search and seizure under the Fourth Amendment to the United States Constitution and Article I, Section 8 of the Pennsylvania Constitution. In many situations, however, police officers who suspect that a car is carrying or trafficking drugs use K-9 (dogs) to help them establish probable cause for a search. Remember that while police need probable cause to search a person or his belonging, they only need reasonable suspicion to initiate a “dog sniff” of a person’s properties or belongings. Pennsylvania courts will determine if a police officer or state trooper had sufficient reasonable suspicion based on a totality of circumstances analysis. This analysis is an objective standard based on not only what the officer observes but the officer’s training and experience in these areas. Without reasonable suspicion (a lower form of probable cause) any items found following a search are inadmissible in court under both the US and Pennsylvania Constitution. While there isn’t one factor in a totality of the circumstances analysis, there are things which police and state troopers aren’t permitted to use in their determination of reasonable suspicion for these “warrantless” searches. Remember, that very recently the Pennsylvania Supreme Court found that Pennsylvania doesn’t provide any further protection than the US Constitution with regards to warrantless searches and so the need for search warrants in the Commonwealth has severely diminished in the case of cars and motor vehicles. Reasonable suspicion can’t be a “hunch” or a guess that a crime is occurring or has occurred but a belief based on an objective standard combined with the officer’s training, education, and experience. If you’re stopped for a vehicle code violation (speeding, expired tags, etc.) the officer needs an independent basis to continue questioning if it becomes clear that the initial reason for this stop has ended. When police continue to question and a person “doesn’t feel free to leave” this triggers a person’s constitutional right against an unlawful seizure under the Pennsylvania and United States Constitutions (4th Amendment). A detention is unlawful if the officer doesn’t have reasonable suspicion for the investigation and is simply fishing for an answer in the hope of uncovering something that provides him with the necessary evidence to initiate a search. In the case of drugs, the officer has to testify about sights, smells, and even the observations of the driver himself. The officer would need a similar set of “articulable facts” in the case of a DUI assuming that he stopped the car for some nonmoving violation (tail light). The above isn’t an exhaustive list and less you say is always better when speaking to police—they are asking to build a case, not to be your friend. For more information on criminal defense strategies and techniques I encourage you to read my free information in the download section.